In a Nutshell: Many residents of the Northeast US already recognize Berkshire Bank as a business dedicated to financial education and civic responsibility. Through scholarships, grants, and employee volunteerism, Berkshire Bank brings its financial expertise to bear for the good of its customers and their communities. And it has increased educational resources via a partnership with GreenPath, a national nonprofit working to advance financial literacy and wellness. Berkshire Bank customers and employees now have access to GreenPath’s tools as well as a dedicated hotline for personalized financial counseling. With these expanded resources, Berkshire Bank aims to provide comprehensive, customized information to people in the Northeast who need it to achieve both personal and financial success. One Thursday afternoon, a Berkshire Bank branch received a request to deliver an educational presentation for a youth organization in Albany, New York. The request wasn’t out of the ordinary for an institution that specializes in financial literacy and outreach, but the timeline was. The group needed the presentation delivered on Friday — which was the very next day. 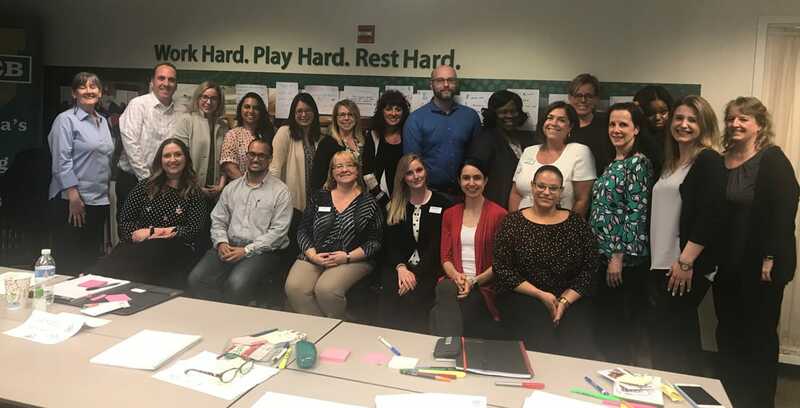 That may seem like a daunting task for many organizations, but the Berkshire Bank team was prepared for the challenge thanks to its wealth of materials and pre-made educational modules that were ready to go. Berkshire Bank prides itself on being prepared and helping communities in New York, Connecticut, Vermont, Massachusetts, New Jersey, and Pennsylvania prepare for the future. It provides customers with banking, lending, wealth management, investment, and insurance services along with comprehensive financial education resources. “Our bank has $11.9 billion in assets and 115 full-service branch offices that are spread out through the Northeast,” said Heidi Higgins, Assistant Vice President and Marketing Officer at Berkshire Bank. As part of its educational mission, Berkshire Bank announced a partnership with GreenPath, a national nonprofit that promotes financial wellness through counseling, education, and helpful products. Through the partnership, Berkshire Bank customers enjoy a dedicated GreenPath website, phone line, and materials accessed through a portal on the bank’s website. All of these tools help the bank address members’ financial questions and concerns and realize their financial goals through practical, targeted, and proven strategies. Berkshire Bank has nearly $12 billion in assets and 115 full-service branches across the Northeastern US. Through the partnership, Berkshire Bank and GreenPath provide personalized financial counseling to participating members. Those customers also enjoy access to GreenPath’s extensive collection of resources and tools, which can help improve money management skills. This initiative is all part of Berkshire Bank’s ongoing effort — alongside a vibrant employee volunteer program — to invigorate the Northeastern communities it serves. Berkshire Bank understands that financial literacy can lead to success in many aspects of life. Its partnership with GreenPath emerged from the bank’s desire to provide the best possible financial education to customers and communities. Thanks to GreenPath, Berkshire Bank customers have access to a wide variety of educational resources. These include online articles, classes, and webinars that address various financial literacy and wellness topics. Customers can call a financial counseling hotline, through which GreenPath advisors provide guidance on debt, bankruptcy, credit, home buying, mortgages, foreclosures, and many other financial topics. Berkshire Bank partnered with GreenPath to provide customers with more tools for financial education. This support aligns with Berkshire Bank’s objective of providing knowledge that improves lives. By offering GreenPath’s educational resources and counseling to its members, the bank is better equipped to assist on personal financial journeys. Berkshire Bank’s direct education efforts also benefit from the partnership, as GreenPath provides standardized materials and curriculum for the bank’s outreach team. These resources, ready at a moment’s notice, allow bank employees to provide consistent, relevant information to communities across the Northeast. The bank’s partnership with GreenPath is funded by the Berkshire Bank Foundation. Through its charitable work, the foundation strives to cultivate successful communities in the region Berkshire Bank serves. Through the foundation, Berkshire Bank funds programs that empower individuals with better money management skills and habits. These include smarter credit usage and banking as well as education and assistance for first-time homebuyers. Employees of Berkshire Bank have the opportunity to volunteer in their communities during business hours. That success begins with financial literacy but extends beyond the realm of money into every other aspect of life. To support young people just starting on their journey, the Berkshire Bank Foundation awards scholarships in recognition of academic excellence and commitment to community service and values. The foundation also distributes grants to improve financial literacy and competence, job readiness, workforce development, and student achievement. Other grants support economic growth by establishing affordable housing, providing homebuyer education, supporting small businesses, and revitalizing neighborhoods. The Berkshire Bank Foundation directs funds to community-building organizations focused on improving the lives of low-to-moderate income individuals. The foundation places great weight on distributing funds to groups and initiatives that demonstrate an impact in their communities. 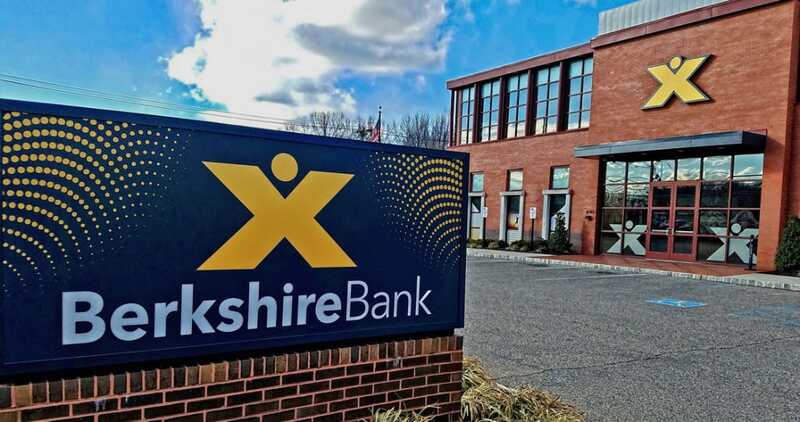 But, just as importantly, the Berkshire Bank Foundation funds programs and projects that enable bank employees and customers to get personally involved in volunteer efforts. 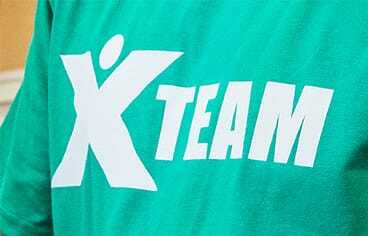 Berkshire Bank started its corporate volunteer program, which it calls the XTEAM, in 2008. From 2013 to 2018, it conducted over 1,000 projects to benefit nonprofit organizations and government entities. Each year, the bank boasts 100% employee participation, over 40,000 hours of community service, and $1 million worth of donated volunteer time. Berkshire Bank’s employee volunteers log 40,000 hours of community service each year. Inspired by World Elder Abuse Awareness Day, Berkshire Bank’s employees wanted to address the growing problem of elder fraud in their communities — and across the nation. So the XTEAM began visiting senior and community centers, where they educate people on elder fraud detection and prevention. Berkshire Bank and its employees take pride in the educational work they do, both online and in their communities. But its mission certainly doesn’t end there. Education is only the first step in helping people get on the right financial path. “Our commitment to improving the financial capacities of our customers and our communities runs deeper,” Levante said. The next step is helping people put their knowledge into action. For example, if Berkshire Bank can’t approve borrowers for a home loan, the applicants get more than just a rejection notice. They receive the reason the application was denied and directed toward resources that will help them improve their situation and increase their chances of success. If the application was denied due to poor credit, Berkshire Bank introduces the borrower to online resources on how to improve their score. 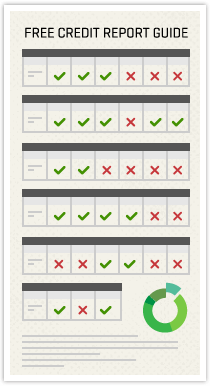 Customers may also take advantage of GreenPath’s counseling services for personalized advice.